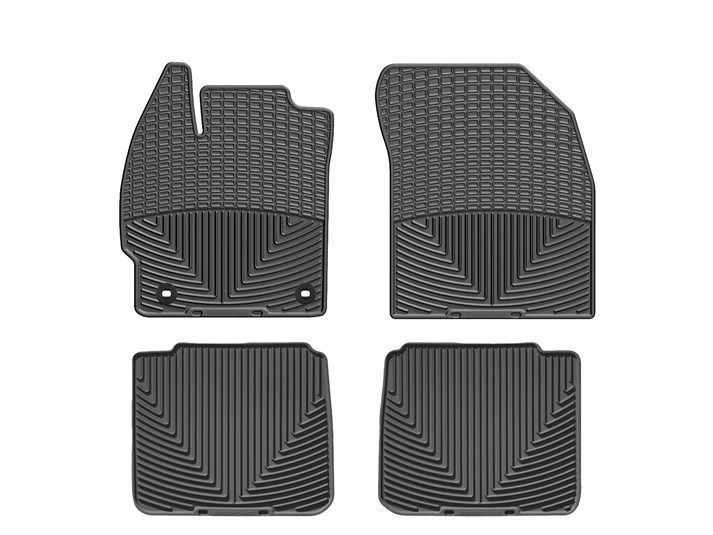 All-Weather Floor Mats were intended to give the best possible protection for your 2012 Toyota Prius's floor. Many of our front and rear mat applications are model specific, while others are assigned as the best possible fit for your 2012 Toyota Prius from our many shapes and sizes. Some rear mat sizes are designed to be trimmed so that they may be customized to fit almost any vehicle. After purchasing a used '06 Prius I found Toyota dealers would not resume selling all-weather mats until they confirmed the cause of gas pedal problems. Instead of waiting, I researched available after market mats and made the best possible choice by ordering Weather Tech black mats. The black color matches the dash and other interior accessories, the mats fit perfectly and do not have an obtrusive logo like other manufacturers put on there mats, and clean-up is a snap. Style, fit, design, and price...what more could you want? Yes, I have one of those dreaded and very dangerous Prius cars! I replaced the floor mats independent of the media hype, not necessarily for "safety" sake, but because I wanted a durable, washable floor mat that will do what it is supposed to do...protect the floorboard and keep dirt where it can be washed out easily. We have your floor mats in our Toyota Tundra as well, and were so satisfied we got a pair for the car too. Thanks for a great product. Your weather tech mats were a lifesaver for this neat freak! I ordered the WeatherTech Mats after moving from Phoenix, Arizona to Montana. Even though it was only the summertime, the mess from the dirt, hay etc. has been confined and I no longer have to wash my carpet mats to keep my sanity. I actually had two sets of carpet carmats so if one was being washed I had a clean set to use!! Thank you WeatherTech for making my move to Montana so enjoyable!